Edgware Road tube station on the Bakerloo line is a London Underground station in the City of Westminster. It is between Paddington and Marylebone stations on the line and falls within Travelcard zone 1. The station is located on the north-east corner of the junction of Edgware Road, Harrow Road and Marylebone Road. It is adjacent to the Marylebone flyover. A separate station of the same name served by the Circle, District and Hammersmith & City lines is nearby, to the south of Marylebone Road. Here's the our members favorite photos of "Metro Stations near City of Westminster". 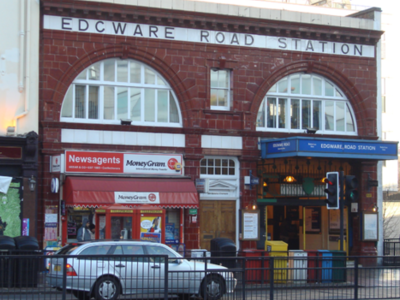 Upload your photo of Edgware Road Tube Station!